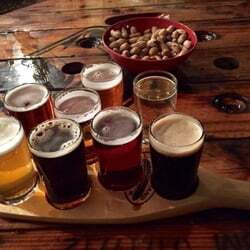 Local craft breweries offer up some of the tastiest beers and ciders right here in Northern Idaho! Here’s the thing about the people who make beer: They’re an irreverent bunch, kinda quirky, dedicated to good times and, most importantly, good beer. And their numbers are on the rise. Ten years ago, there were less than 2,000 craft brewers in the United States. Last year, the number topped 7,000. It’s not a fad, it’s a rapidly growing business made up of passionate brew masters anxious to share their products with you. 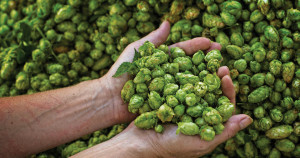 North Idaho is blessed with several craft breweries, so next time you’re staying at The Coeur d’Alene Resort, be sure to venture out, meet these hardworking, imaginative folks and try their lovingly created beer. If you’ve ever seen the hilarious Honey Badger Don’t Care YouTube videos, you get the idea of the cheeky atmosphere at Daft Badger Brewing. 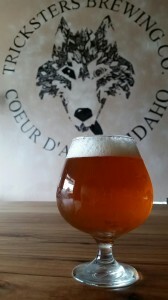 Darrell Dlouhy opened the Coeur d’Alene brewery four years ago and named it after the tough, determined little critters. By adding “daft,” British slang for silly and a little strange, you get the vibe of a company relentless in their pursuit of their vision while keeping it real, and fun. Dlouhy and head brewer and partner Keith Bertram have created a destination pub complete with an impressive sandwich, soup and salad menu to complement their brews. Summer’s Envy and Blood Orange, both IPAs, are perennial favorites. Find them on Facebook and Instagram. Native American legend has it that Trickster was a mischievous, shape-shifting rogue that delighted in playing tricks and breaking rules. Matt Morrow tapped into his Native American heritage and the colorful folklore when it came time to name the Coeur d’Alene brewery. Least you get the wrong idea though, “No tricks, just good beer” is the company motto so you’re bound to experience some great brews at Trickster. In fact, their J-Box IPA won grand champion at the prestigious Brewing News National IPA championship last year. In addition to Matt, Evan Ruud, Nathan Vesser and Meredith Vesser get credit for making the magic happen. In addition to handcrafted brews, Trickster sells merchandise. No food service at the taproom but you can bring your own snacks. 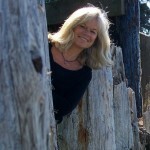 It’s all about community at Slate Creek. Owner Danica Gilbert explains that the company’s tag line, “Connect with Slate” is more than a suggestion you try their beers, it also symbolizes the brewery’s commitment to supporting local nonprofit organizations and creating an atmosphere where people can gather and get to know each other. All proceeds from Slate Creek’s Friday night bingo games go to community support groups like the Northwest Food Network, Safe Passage and the Children’s Village. Danica and partner Andy Neels bought Slate Creek from its original owners and reopened the brewery last year. Brews are produced for taproom only. 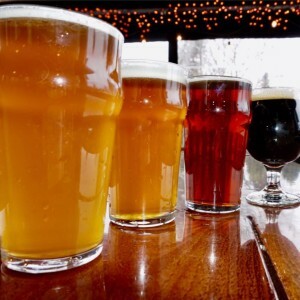 Favorites are the flagship juniper pale ale Norse Nectar and Break a Leg IPA. There’s a supply of peanuts on all the tables and hungry customers can order takeout from Syringa Restaurant next door. 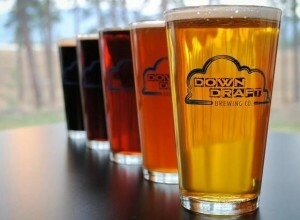 “We make beers that are both wonderful and strange,” Downdraft Brewing’s owner Ginger Cantamessa says. In the past year that Ginger and husband Josh have owned Downdraft, they’ve created an everybody-knows-your-name atmosphere where Wednesday and Saturday night Trivia games attract a competitive bunch of beer lovers. The Cantamessas took over the Post Falls brewery a year ago and have debuted popular brews like Hoppy Seconds and Agent Gordon Kolsch. The “wonderful and strange” tag line comes from Agent Dale Cooper, the dogged detective of the TV series Twin Peaks, who said, “I have no idea where this will lead us, but I have a definite feeling it will be a place both wonderful and strange.” Sounds like a good recipe for Downdraft’s future. 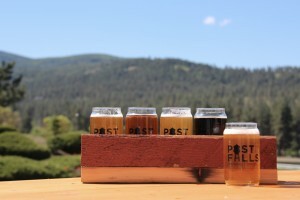 Drive past the Post Falls Brewing Company on a summer day and you’ll see people spilling out onto the patio, taking in the view of the Spokane River, enjoying a Stoney MacGuyver IPA or a Fat Lenny New England IPA. It’s a casual, family-friendly place that welcomes kids and dogs (patio only for the pups). Almost three years ago, Dan Stokes and Alex Sylvan accomplished what many home brewers dream of by turning their hobby into a thriving business. Steve Cervi-Skinner joined the team and Dan’s wife, Bethany, manages the taproom. You can catch live music on Saturday nights all year with additional shows added during the week in the summer. A food truck serves up pizza most nights. 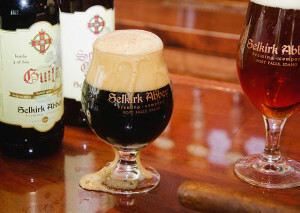 When you’re ready to try a beer seeped in history and tradition, head over to Selkirk Abbey Brewing Company in Post Falls. Owner and brew master Jeff Whitman says he loves the flavor of Belgian yeast and labored over three years to perfect his recipes that lean heavily on malts with fruity yeast flavors. The results are brews like Infidel, an imperial Belgian style IPA, and Guilt, a coffee-flavored porter. The abbey-themed taproom, decorated with tapestries and photos of beer-producing Belgian monasteries, is a cross between Jeff Whitman’s boyhood church in New York and a study in one of rail baron Cornelius Vanderbilt’s homes, is a far cry from the décor you’ll find anywhere in this part of the country. Selkirk Abbey’s tagline, “It’s not for the masses, it’s for you,” sums up their attitude toward unique beer blended for, well, you. “We know beer” isn’t just an idle boast. Head brewer Matt Skillicorn and production manager Phillip Hottenstein sampled beers from every state in the U.S. plus 15 European countries in order to make that claim. Tough job, but somebody’s gotta do it. Russell Mann handles the brewery’s finance and adds expertise from his experience as a retail bottle shop owner. Top brews are Business, with a caramel sweetness and heavy body and Sleuth, a smooth, honey-infused choice. And the name Bombastic? 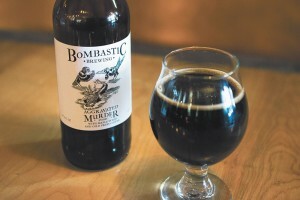 “So many craft beer enthusiasts take beer so seriously,” says Phillip, “but we want to make great beer and take pride in doing so, but we don’t take ourselves too seriously.” Bombastic does not have a taproom. Customers purchase bottles online after a release is announced and pick up their products at the Hayden facility. A tag line like “Make beer, not bombs” certainly grabs your attention and is especially meaningful when you know where it came from. 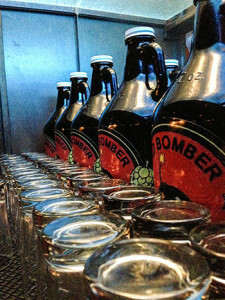 Tom Applegate, founder and head brewer at Mad Bomber, served a total of eight years as an Explosive Ordnance Disposal Technician with the United States Army with one tour of Afghanistan. With wife Stephanie, fellow EOD soldiers Alan Longacre and John Taylor, opened Mad Bomber in 2013 brewing assertive American ales, many named after fallen comrades. A portion of profits are donated to the Wounded Warrior Project. Thirsty yet? Find all of these breweries on the Ale Trail Map. As you plan your craft brew route, be sure to check each brewery’s Facebook, Instagram and websites for announcements, new brews, events and assorted mischief.